Owning a puppy takes a lot of work and patience as does finding a high quality puppy formula that you can feel confident about. The puppy food aisle in your local pet store can be daunting, leaving you clueless with so many choices to pick from. Reading label after label, scanning the ingredients to try and figure out what is actually in the food, can leave pet owners stressed and feeling defeated. Nature's Recipe takes all that stress and guesswork away with their new line of Pure Essentials Limited Ingredient Recipe. 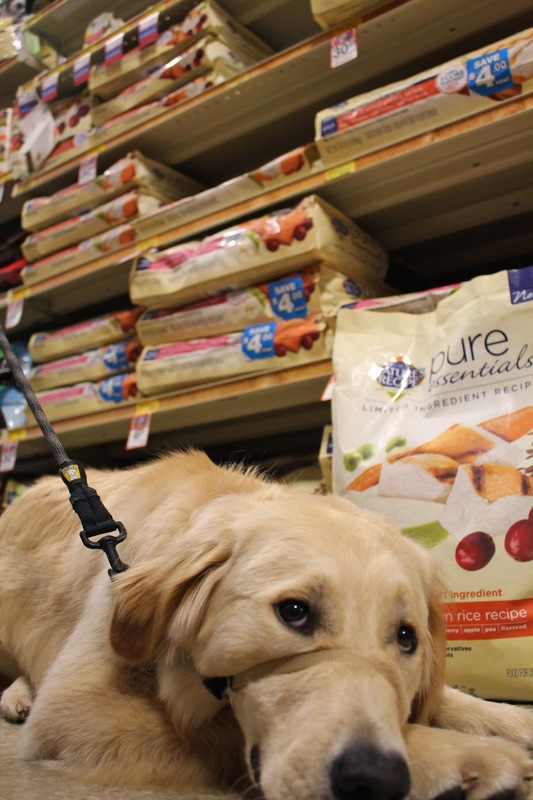 Here's Bruin in our local PetSmart store feeling relaxed after finding the Pure Essentials Puppy formula by Nature's Recipe, he will be happy to devour it and I can be relieved he's getting protein-packed kibble with real fruits and veggies. How do you know that's its packed with such pure ingredients for your puppy? The folks at Nature's Recipe are brilliant, right?!!! Talk about transparency!!! Those days are over!! Hooray!!! Speaking about the pieces, lets talk a little about the ingredients. As you can clearly see in the photo above, those are REAL pieces of fruits and vegetables! Now if that doesn't make a puppy parent proud, I don't know what will! You can actually see the pieces of carrot, peas, apples and cranberries! No artificial garbage here! Nature's Recipe Pure Essentials is made up of a few core ingredients and that's it. They believe in honest-to-goodness, super-nutritious ingredients that Mother Nature has to offer. Pure Essentials Puppy Recipe has added vitamins, minerals and nutrients and is made up of 7 core ingredients. It contains NO beef, corn, artificial preservatives or animal by-product meals. 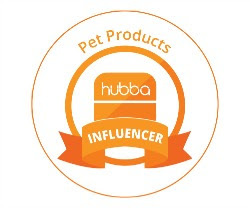 In two more months, Bruin will be graduating from the Puppy Formula to the Large Breed Formula and we are happy to know that the Pure Essentials Formula was created for every specific life stage and size of dog. 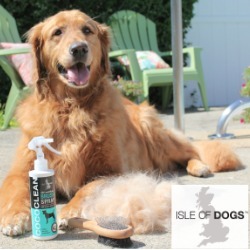 They range from Puppy to Small and Large Breed to Adult and Senior Dog Formulas. Not only that, but they also have a line of canned food as well as a variety of treats and dental chews, with the transparent window too. Oh how we love transparency when it comes to our pets!! So the next time you're browsing the isles at PetSmart, don't forget to visit the Nature's Choice section and see all of what Pure Essentials has to offer. 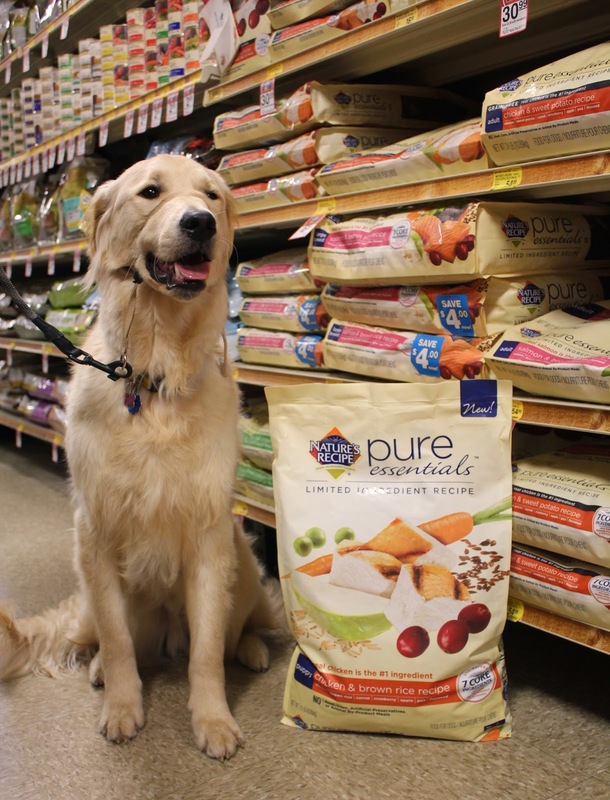 Speaking of PetSmart, Nature's Recipe Pure Essentials is offering you a chance to give their new line of food a try with a fabulous giveaway!!! How does browsing the aisles of PetSmart with a $400 PetSmart gift card or a $100 PetSmart gift card sound??? Just think of all the bags of Pure Essentials dog food and treats that would buy??!! Well, dry up and head on over to Fidose of Reality and enter, it's that simple!! Giveaway ends July 21st . If you would like to learn more about the different stages that Pure Essentials offers you can check out these wonderful blogs to see what they have to say. 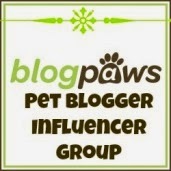 This post is sponsored by Pure Essentials and the Pet Blogger Network. 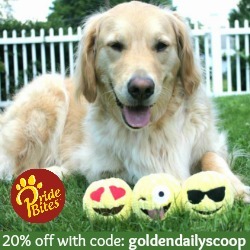 I am being compensated for helping spread the word about the NEW Pure Essentials Food, but Miley's Daily Scoop only shares information we feel is relevant to our readers. Nature's Recipe and Pure Essentials is not responsible for the content of this article. I'm not sure our pups will be wild about the real fruit and veggies but we'd love to try it. We'll head over - thanks! I'm not a huge fan of veggies, carrots are my favorite! Bruin looks like quite the patient little shopping helper! Yes, for a puppy he is rather patient! We like that little window to see the product! We love our fruits and veggies! Better check it out! Isn't the window cool?! No surprise when you get home, that's for sure! Phod isn't into veggies, but maybe he would like it. Lee will eat anything. Enjoy! I'm not a big veggie eater, either but I did like the carrots! Thanks for stopping by! We agree, he's a handsome model! ;) Thanks for stopping by! Good luck! Free cash is always fun especially at the pet store!! Thanks for stopping by! 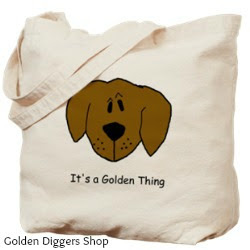 I would love to get this for my dog Bailen. He's a very active Hound/Beagle mix. 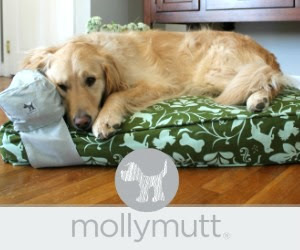 I would love to win this for my 2 little doggies,Sonnie and Buster!